It’s a strange photography project created by American photographer Marc Lamey. A series of photographs named The Beauty is Inside features a variety of real colorful insects in the mouth of models. 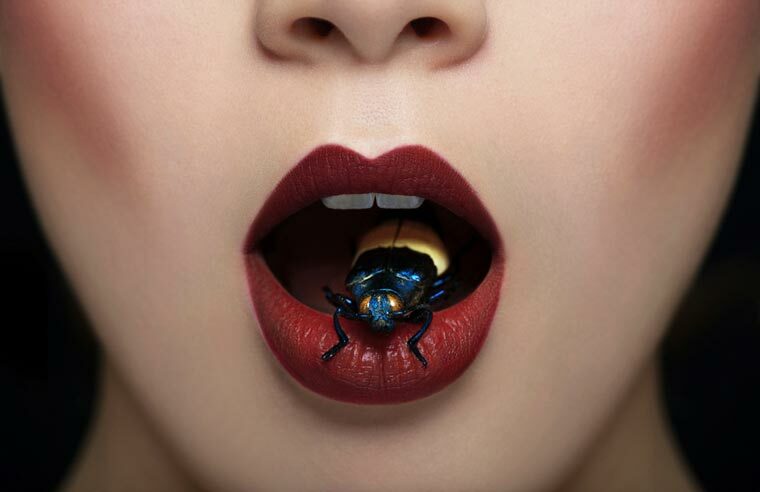 Marc Lamey places real insects in the mouth of his models and captures this offbeat composition.